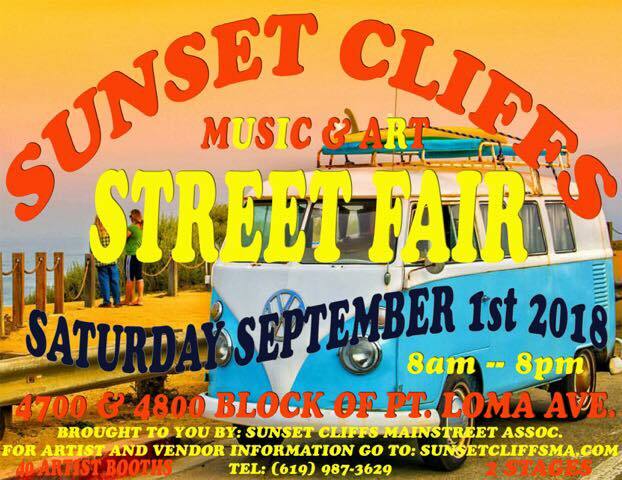 The Sunset Cliffs Music & Arts Street Fair is on Saturday, September 1st, 2018 and will be located on the 4700 and 4800 blocks of Point Loma Avenue. 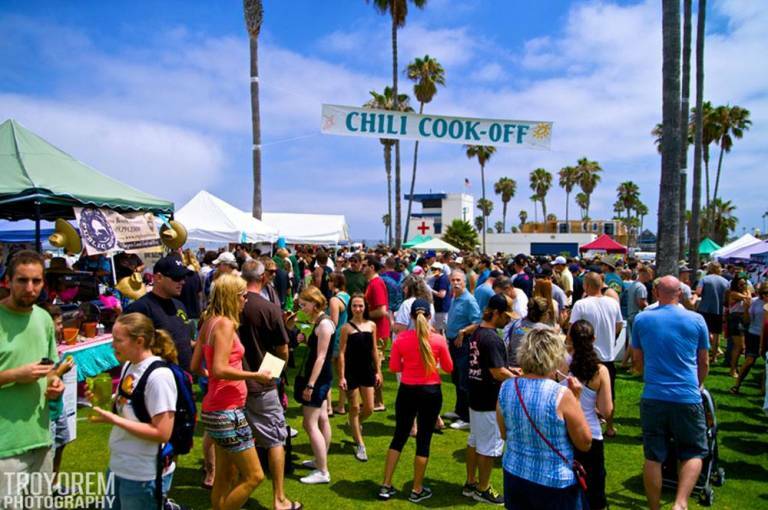 There will be live music, two stages, 40 vendor booths, and more! If you are interested in being a vendor, please contact the event organizers on Facebook at https://www.facebook.com/events/392803581123600/ – spaces are filling up quickly! Also looking for live music options.